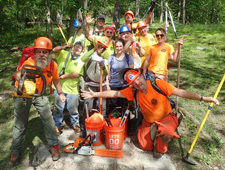 Our backpacking workshops combine a backcountry adventure with education and hiker comradery. If you want to get involved in backpacking but aren't sure where to start, our workshops are a perfect choice. We specifically design these programs for beginner and intermediate backpackers. 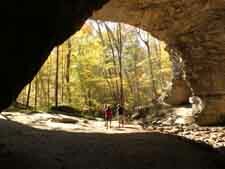 Our guides are highly experienced and certified. Our guides have thousands of miles of backpacking experience. For every trip at least one guide is a certified Wilderness First Responder. All of our guides are trained in Leave No Trace. Most are Leave No Trace educators. Many of our guides are employed full time in the outdoor recreation industry. Backpacking techniques and ethics change over time. Have you taken a training program years ago, like CPR, only to discover techniques have changed over time? The same is true with backpacking. Learn the most up-to-date methods from the experts. We are avid proponents of Leave No Trace. We Do Private Guided Backpacking Trips. Interested in a Ladies Only adventure? We offer trips just for the ladies. Our experienced (female) guides would be happy to take your group on a backcountry adventure. We Give Programs, Presentations and Workshops. We Are Experts In Trip Planning. Have a trip planned on the Appalachian Trail or other long trail? Need some guidance on planning your trip? We can help. 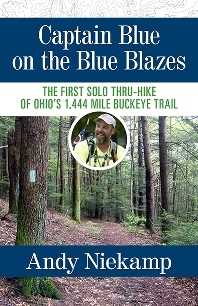 Andy "Captain Blue" has hiked over 8,400 miles on the Appalachian Trail and can provide valuable information on locations, routes, terrain, shelters, gear, water sources, great campsites, resupply points, shuttle logistics and how to safely hitchhike to and from town. Remember the first principle of Leave No Trace -- Plan Ahead and Prepare -- let us help with that. Your talent of welcoming and creating a comfortable atmosphere for All the backpackers is quite impressive. The entire backpacking trip was well planned and quite informative. Thank you so much! – Gayle B.